Just came in from the back 40. The cows were generous today. Even gave me these convenient carry case. Good cows. 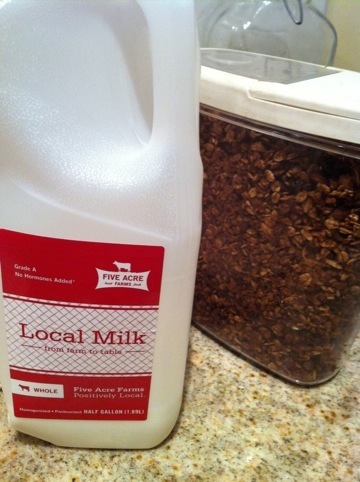 I can’t tell from the picture, is that raw milk? I’ve been hearing about raw milk lately and all the health benefits. Like all food, processing destroys nutrients. Of cause government agencies are going on the war path over raw milk- we wouldn’t want to have anything healthy on store shelves.